staging site to live site in a very comfortable and easy way. As we are still testing this brand new version, we like to invite you to test WP Staging Pro. This help us to improve the plugin and make it even more solid. 16 spots for testers are available only. Price for the testing membership is 69 EUR +VAT. Regular price will start from 89 EUR later. After release of the public release candidate, all testers are eligible to update their version to the latest release candidate without any extra costs. By purchasing this version, you confirm that you are aware of possible issues in WP Staging Pro which we might have overlooked so far. If you find any issue, please open a support ticket. So we can sort it out. See below why WP STAGING is used on more than 40.000 websites. Where is the staging site located? 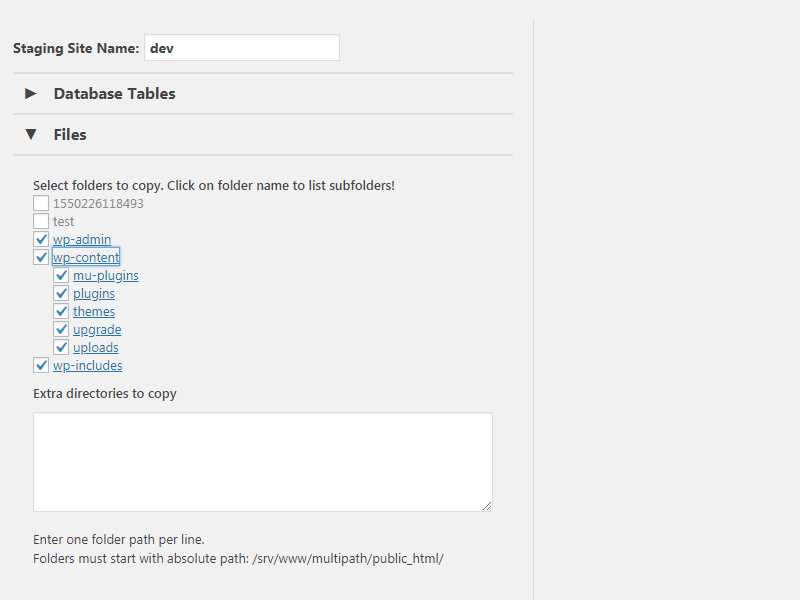 You can copy the staging site to a sub folder of your main site or to a complete custom path. It stays entirely on your server and none of your data will be transfered to any third parties. 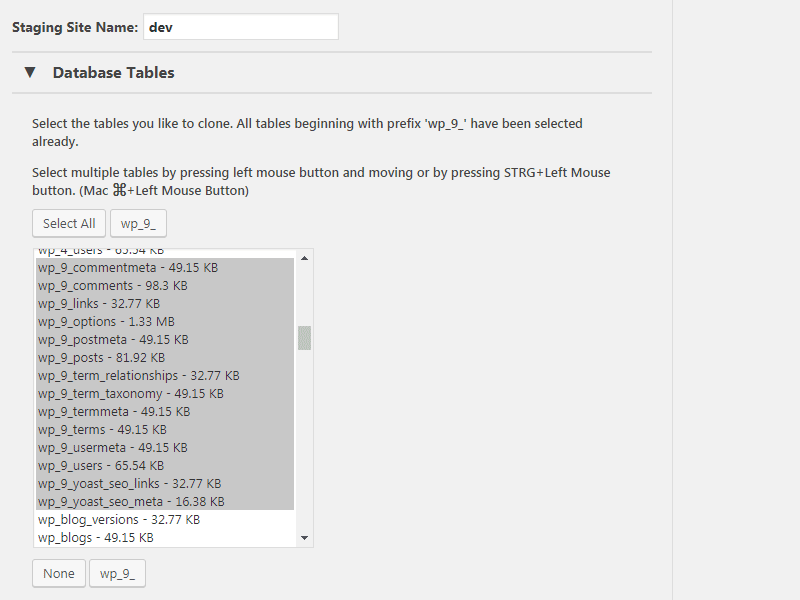 You can clone the production site to another database and even to the same database of the live site. In that case, all staging site database tables will be prefixed by wpstg_. This ensures that the live WordPress site never interferes with the staging site. Do I need technical skills to use it? There is no specdial knowledge needed to create a staging site. Just click on a button and the entire job will be done for you. Can client make changes and agency or developer can push it? That's absolutely possible. Your client can modify plugins or posts and the admin can push over the content by using the pushing function. Can we push database selectively and skip WooCommerce transactions? Is the staging site indexed by Google, any SEO issues? The staging site is not available to the public and needs authentication before it can be accessed. So there are no possible SEO issues here. Can we use backup plugins on the staging site? Yes, you can backup the complete staging site including the entire database and files. Does the plugin work on wordpress.com hosted blogs? WP STAGING works on all self-hosted websites and regular hosting providers. Can I upgrade from a 1 site license to a higher one? Sure, you can upgrade anytime and you pay only the difference amount between the smaller and the higher license. Can I push a staging site which has been created with WP Staging free version? Yes, just install WP Staging Pro! 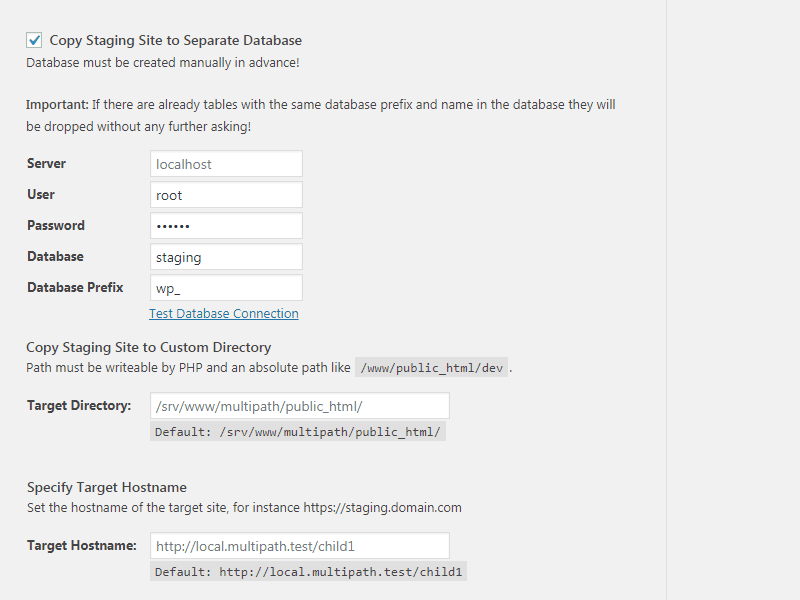 The free version will be deactivated and the staging site will be detected by WP Staging Pro automatically. 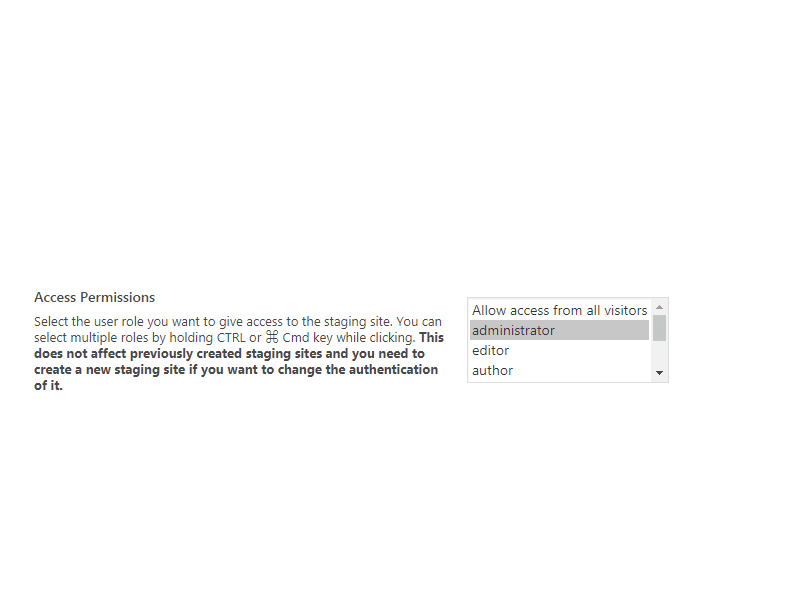 Then you can push the existing staging site to the live site. GDPR & Privacy - Is data submitted to any 3rd parties like cloud servers or git? ​​WP Staging does not use any external servers and does not submit any of your data to third parties. ​The complete cloning, migration and data processing is done on your servers only. Even we do not have access to any of your data. I have more pre-sale questions, can you help? Sure, you can ask us any question through the support page. These are simple: Read them here. Assuming that you charge $60 per hour and WP Staging saves you 2 hours per project. Even a developer license of WP Staging Pro is paid for itself after only 2 times of use. New version of WP Staging Pro 2.8.1 has been released. Updated 25/03/2019 - What is new? A site counts as "active" when WP Staging Pro has been used on it in the last 30 days. Development and staging sites do not count toward this limit. Access to priority email support for a small team. Access to email support for one person. Money back guarantees if something is not working as intended. You need to give us the opportunity to resolve your issue before requesting a refund. See our full refund & service terms. Purchasing the plugin includes updates and support for one year. WP Staging Pro can be used for unlimited time and does not stop working after license expiration.